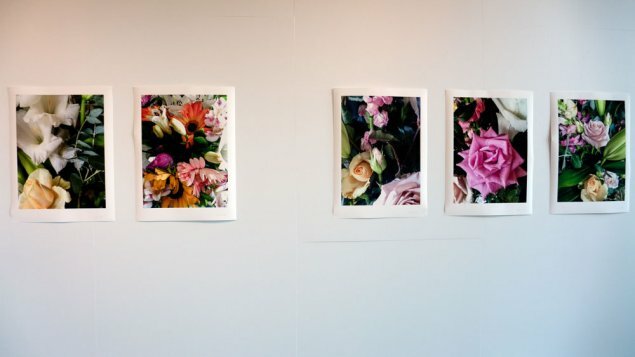 This exhibition is about the pain a family experienced in that final week as their much loved mother slipped away after ten years of illness. The photographer, and daughter, Maryanne Voyazis captured these images in the room where her mother died. The flowers were the gifts from friends and family. There are other objects that were placed around her mother to make her feel in touch with her precious home and family. Exhibiting such personal experiences is not done that much. Maryanne was convinced by a friend to share this story so that so others may feel braver about that event we all must experience. If you have not worked it out by now, the experience of seeing these photographs is quietly emotional. It was an enormous honour to be invited to share this close-knit family’s personal experience of loss. As she says, most of us write, paint and take photographs around our family experiences and then stash them a drawer or box. It is important to look again – and share those important emotions and in this case the affections the family had for their mother. A celebration of a mother’s life in moments of stillness and quiet. 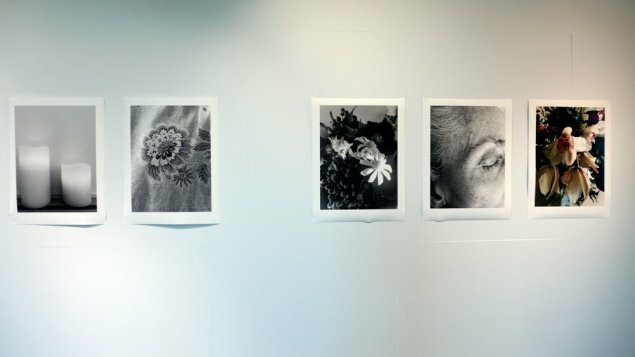 A very personal exhibition from Canberra photographer Maryanne Voyazis, that speaks to moments in the human experience seldom shared with strangers. How do you publicise something so private as the grief of loss? What would it feel like to welcome strangers into a room that is decorated by personal moments of enormous heartache? The bravery behind this remarkably warm exhibition of photographs taken in the final week of a mother’s life is palpable. The admission into what is by every measure a shared human experience, yet one that is so often kept behind closed doors, is both disarming and empowering. Through her own grief, one woman offers a healing hand to many. Totally recommend you take in the exhibition and the experiences of the family involved. What was touching was that on the day we visited, Maryanne was there with her daughter – being two generations of women from the family with the works on the wallbeing about the former generation. Please note that it is on for a very short time – closing on Sunday. 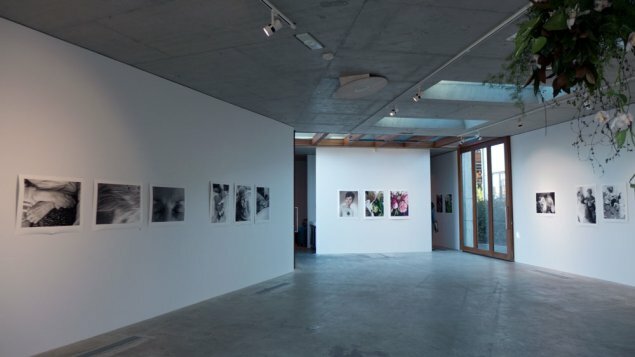 BEAUTY IN THIS, Nishi Gallery, New Acton, 14th July – 24th July 2016 – parking can be difficult at New Acton – on the weekends it is free over the road in front of the Film and Sound Archive. A bit late to this riotact biz, but this was a fantastic exhibition.